All our doors exceed the current Building Regulations for energy efficiency. 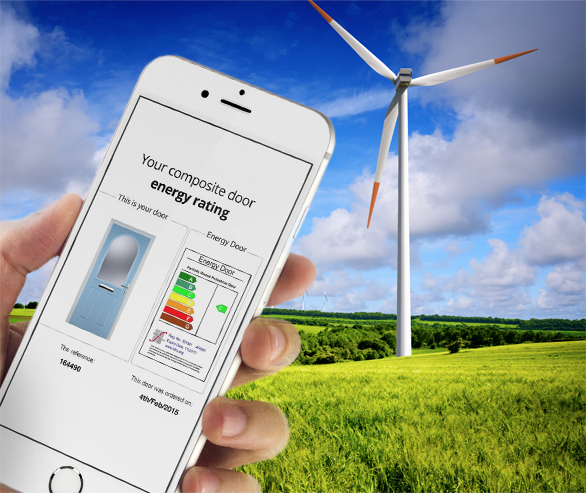 Get the reassurance that buying a Door Stop door means that your door performs to the highest standards, keeping the heat in your home – not to mention saving you money on your energy bills. Design your own energy saving door today for the areas best prices, with free quotes and fitting included. Our doors are made using a calcium zinc based compound in the extrusion of the doorframe. This means are doors are kinder to the planet. We also make it our mission to reduce our carbon footprint by carefully planning our delivery routes to cut down the amount of fuel we use. In 2011, Door Stop Doors were the first to be certified with an energy rating & to continue that efficient streak, they produced the first A energy rated door. 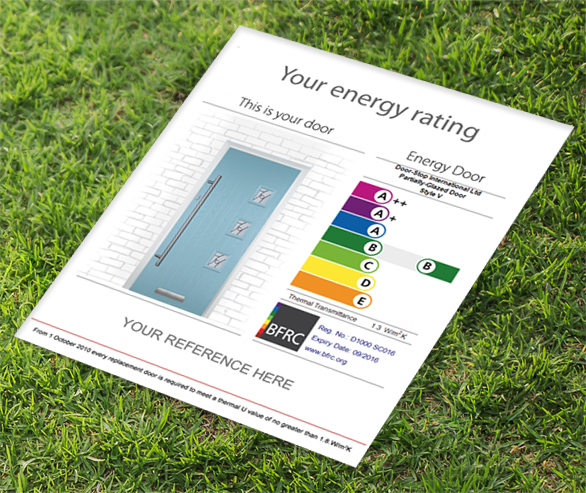 All of our doors are issues with a bespoke energy rating certificate – based on expert data from the Building Research Establishment and accredited by the British Fenestration Ratings Council. 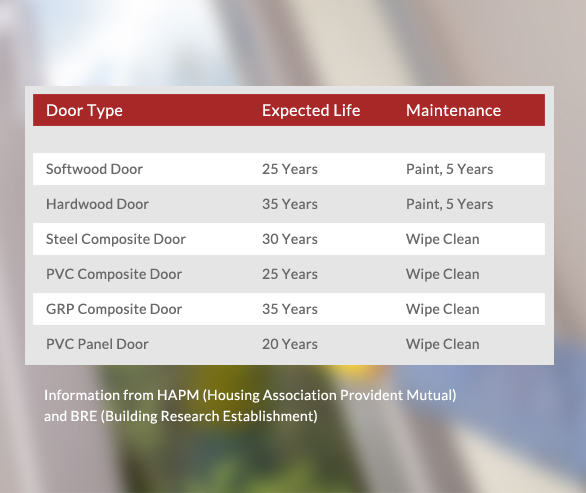 How long can you expect your new composite door to last? 5, 10, 15 years, try up to 35 ! GRP Composite doors are incredibly strong and secure, manufactured to modern techniques in a quality controlled environment and comprise of a hardwood inner frame reinforced for rigidity, set around a thermally insulated polyurethane foam core. Because our doors have a coloured 2mm GRP outer skin they require minimum maintenance, literally just a wipe clean whenever you feel necessary. They will not warp or twist and more importantly they will not decay or rot.